It’s time for September’s Secret Recipe Club. I was given my assigned blog – Thru the Bugs on My Windshield and was delighted to find out it was our hostess Suzanne’s blog! Woohoo! I was excited to pick out a recipe and hopefully make her proud with my adaption of her Apricot Empandas. Suzanne’s blog focuses on her travels, photography, cooking and other ramblings. I’m envious of her travels throughout the USA. I also have to give a huge thank you to Suzanne for everything she does for Group B! I decided on this recipe but decided since it’s slowly feeling like fall here, I would change the filling to apple pie instead of apricots (plus I’m not a huge fan of apricots). These were delicious! I loved the texture of the dough and I made several different sizes – smaller ones for my daughter and larger ones for my husband and I. Besides today being reveal day, it’s also the first day of my new job. I’m excited and nervous at the same time. 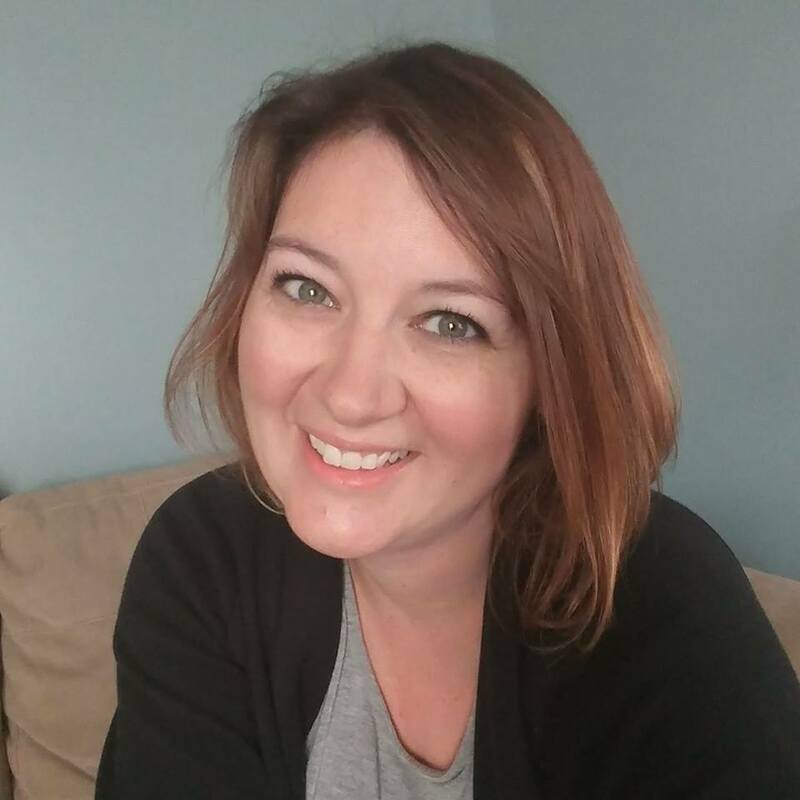 I resigned from my first “real” job that I got after college after 10 years working there to take on a new challenge – in addition to working at home and not in an office. I guess you could say when we make changes, we make HUGE changes! Just in the last 3 months, we’ve welcomed our baby boy, bought a new car and now I have a new job….I wonder what our next change will be? In a food processor, mix together the flour, sugar and salt. Add the butter one tablespoon at a time. After 8 Tbsp have been added, add in one egg. Add in the remaining butter one tablespoon at a time and then the second egg. Add the cold water until your dough forms. Remove the dough from the food processor and knead for a few minutes on your work surface that’s been covered with parchment paper. Divide the dough into two balls. Flatten into two thick rounds and then wrap in parchment paper. Place in a resealable bag and chill in the refrigerator for at least 30 minutes. While the dough is chilling, make the apple pie filling. In a small saucepan, add the apples, cinnamon and water. Heat on medium low until the apples become fork tender and a sauce forms but there’s still chunks of apples. Let cool. Once the dough is completely chilled, remove one round from the refrigerator. Preheat your oven to 350 degrees and line two baking sheets with parchment paper. Roll the dough out between two pieces of parchment paper. The dough should be on the thin side, around 1/4″ thick. Cut out circles for the empanadas. I used a biscuit cutter for the smaller ones and the lid from a pickle jar for the larger ones. Fill each circle with one teaspoon or tablespoon (depending on dough size) of filling. Don’t overfill, otherwise it’s hard to crimp the edges of the dough together. Fold the dough over the edges and press the ends together with a fork. Place the empandas on the prepared baking sheets. Sprinkle the tops of each with a mixture of cinnamon-sugar. Bake for 25 minutes until the dough is a golden brown. Let cool before biting into one! Im ready for the fall – this looks like a great fall treat. Isn't the dough just crazy good! I love your post and the apples are PERFECT! They look so good I'm pretty sure I can smell them from here. Thanks for all the wonderful kind words. SRC is a lot of fun and I love “meeting” people like you! Looks delicious and good luck with the new job. YUM – I have actually been wanting to make apple empanadas recently and this post just gives me that last push I needed 🙂 Congratulations on your new job (and the new baby and new car)! These sound so good with apple in – great for this time of year. I'm loving everything apple right now. These apple treats look great! 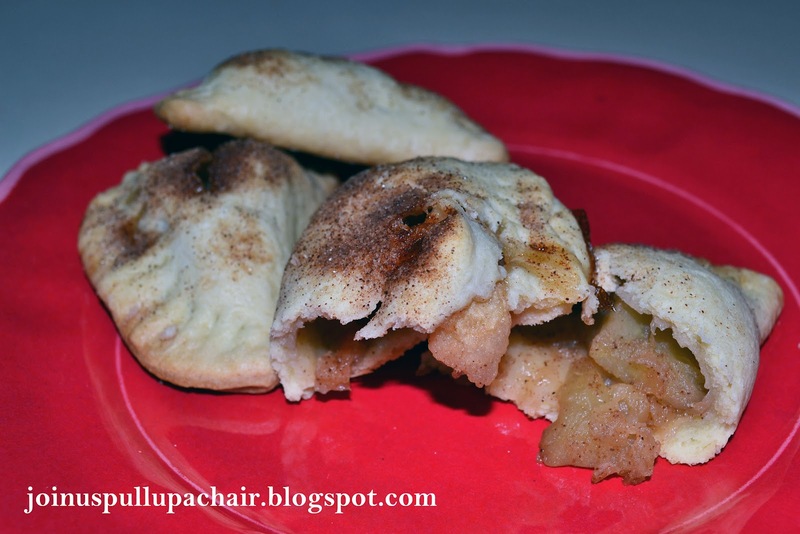 personal apple pies – awesome. And they look delicious.